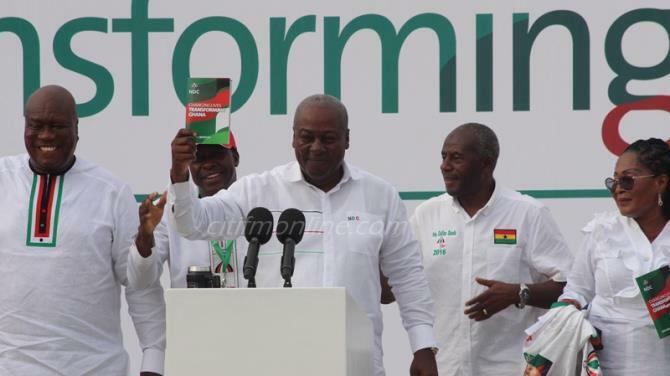 President John Dramani Mahama has launched the National Democratic Congress’ (NDC) 2016 manifesto ahead of the 2016 general elections. 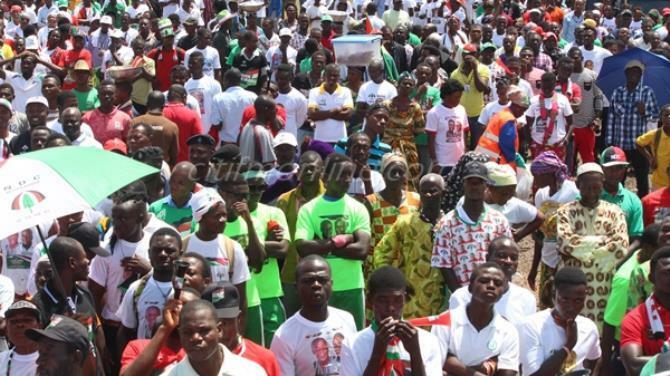 The President launched the manifesto in Sunyani in the Brong Ahafo Region today [Saturday]. 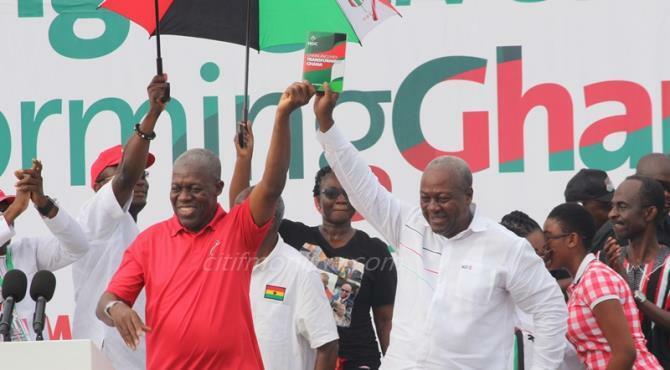 The NDC is now the second party after the Progressive People’s Party (PPP) to have launched their policy document with three months to go to the polls. 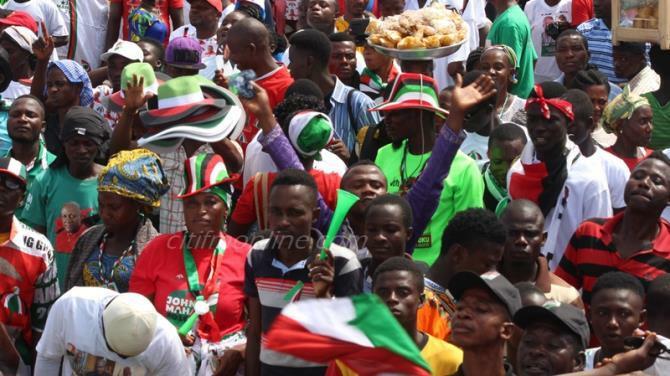 The ceremony at the Sunyani Coronation Park in the Brong Ahafo Region was graced by thousands of supporters of the party from across the country. 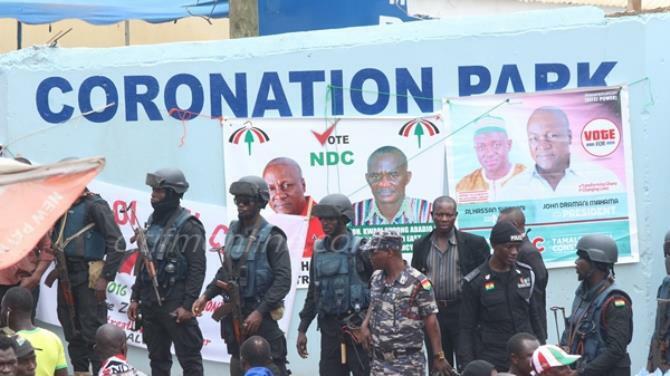 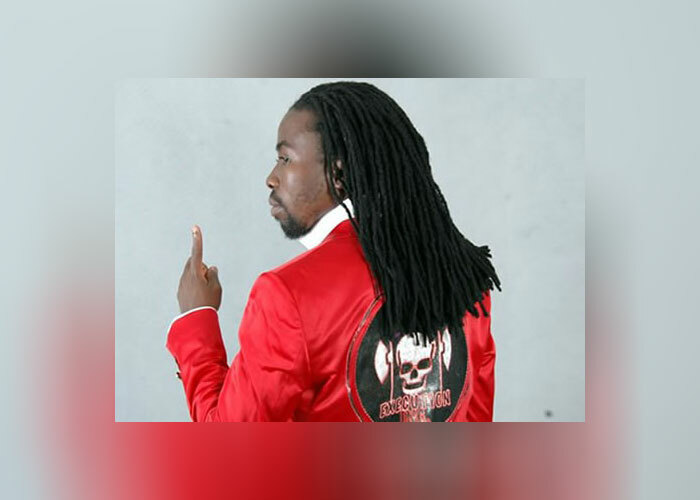 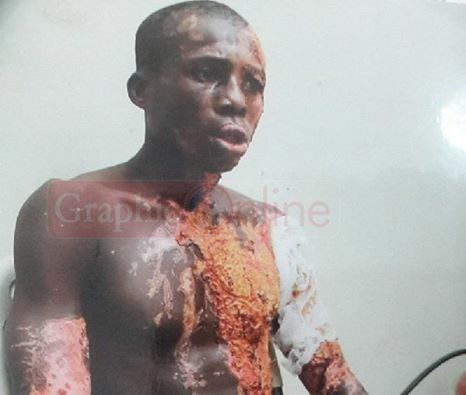 The three-hour event saw speeches from the Majority Leader in Parliament, Alban Bagbin, Gender Minister, Nana Oye Lithur, Labour Minister, Haruna Iddrisu and Communications Minister, Edward Omane Boamah. 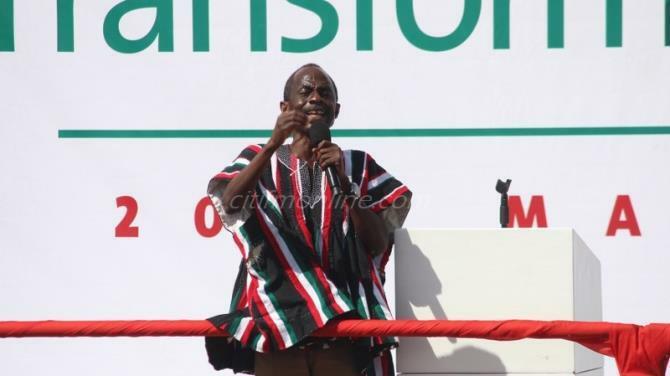 Several senior officials of the party also took their turns on the stage to say a few words, including the party’s National Chairman, Kofi Portuphy, General Secretary Asiedu Nketia and National Organiser Kofi Adams. 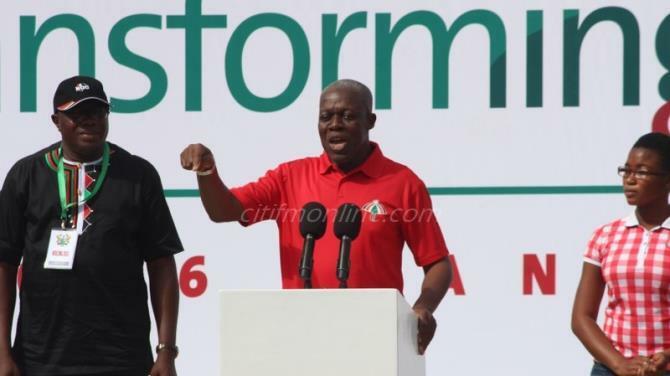 Vice President Kwesi Amissah Arthur said a few words as well, taking a few shots at Dr. Mahamudu Bawumia, the running mate of the New Patriotic Party’s Parliamentary candidate (NPP), Nana Akufo Addo. 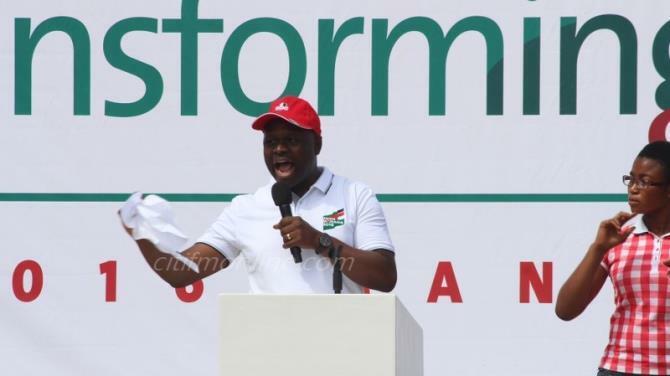 President John Dramani Mahama, who was the last to speak at the event described the NDC as the most peaceful party in Ghana. 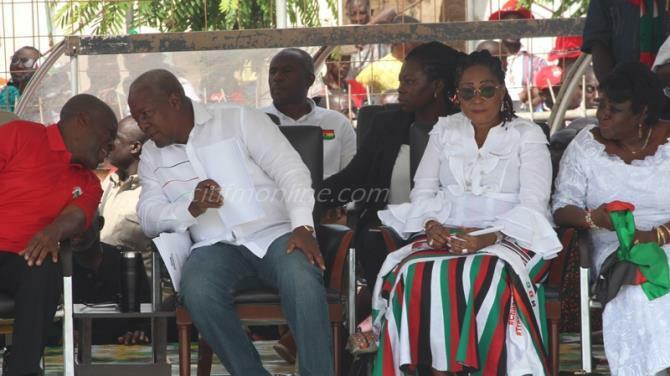 Addressing the large crowd President Mahama stated that his administration had done enough to merit a second term. 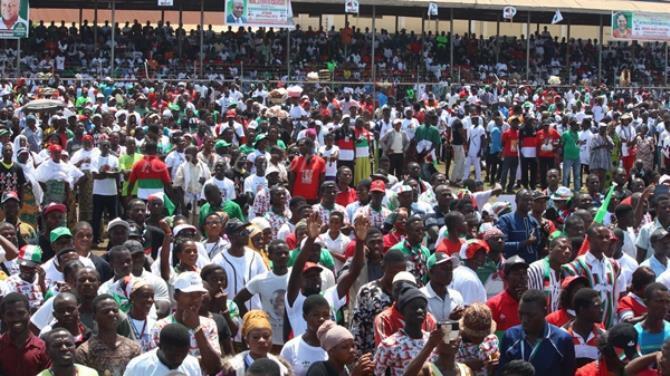 “It is our view that what we have put out is the best plan that can move this country forward. 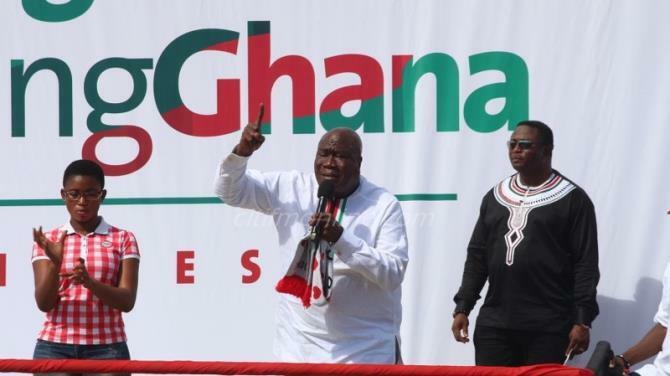 I encourage you all to study the manifesto and vote for the NDC in the presidential and parliamentary elections,“ the President said. 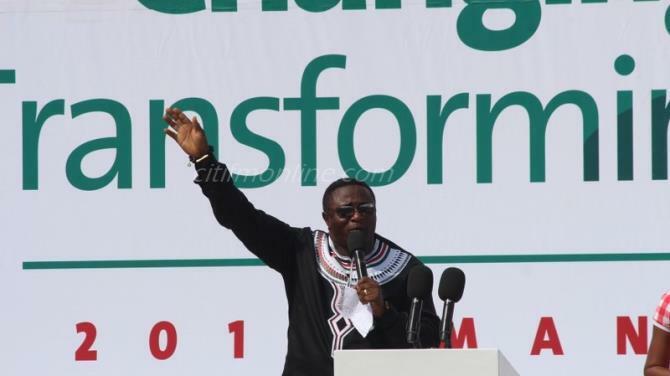 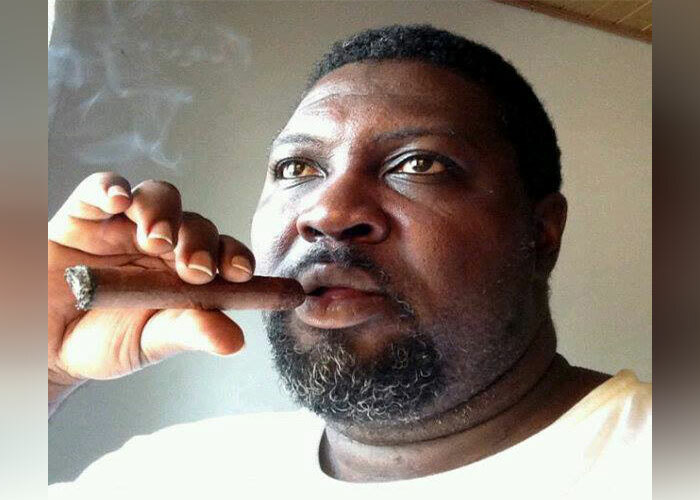 He said that all the successes the party has chalked since he was elected into office in 2012 proved that NDC was the most united and most stable party in the country making them Ghana's best bet in the quest to attain economic stability. 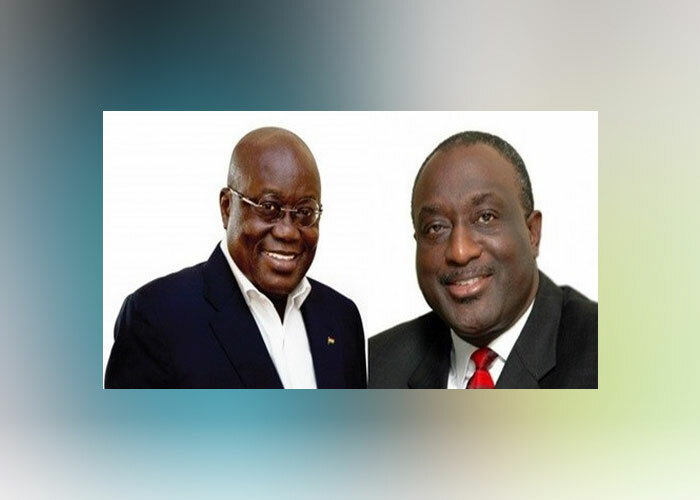 “We invite you to assess all the gains we have made since they gave us their last mandate in 2012 and relate them to what we have committed to do for the people of Ghana from 2017. 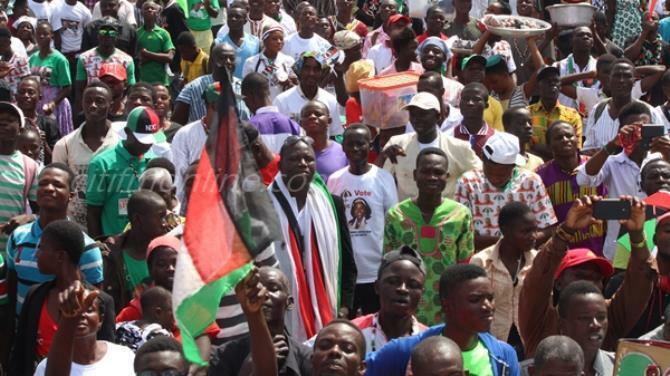 We are confident that such an exercise would lead to the inevitable conclusion that the NDC remains the most prepared, most peaceful and most organized party today and is therefore the one party that can deliver on the aspirations of the Ghanaian people,” President Mahama said.